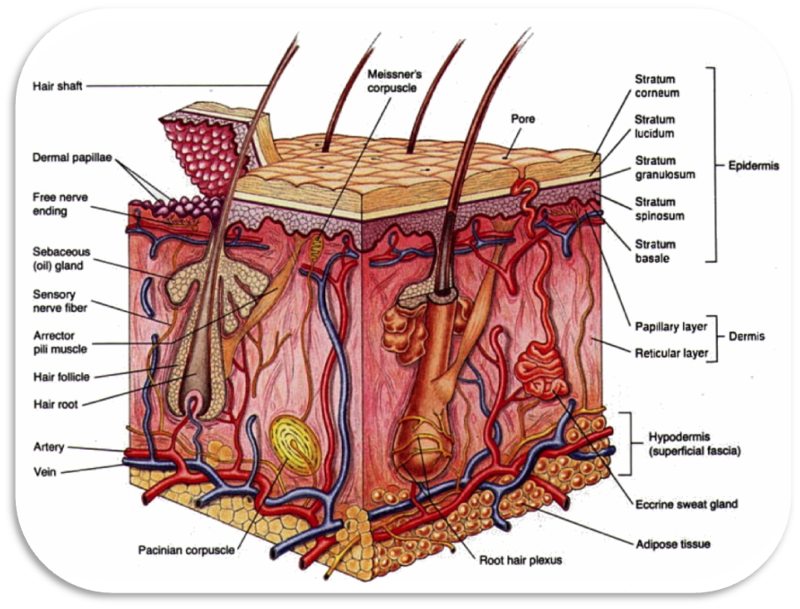 The integumentary system is about the external covering of the body (skin). 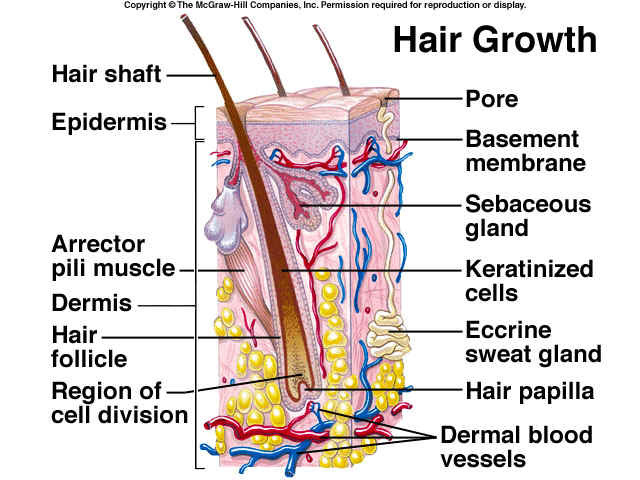 Functions: Skin, nails, hair,exocrine gland, and nerves . its main function is waterproof cushions and protects deeper tissue from injury. It also excretes salts and urea in perspiration and helps regulate body temperature. 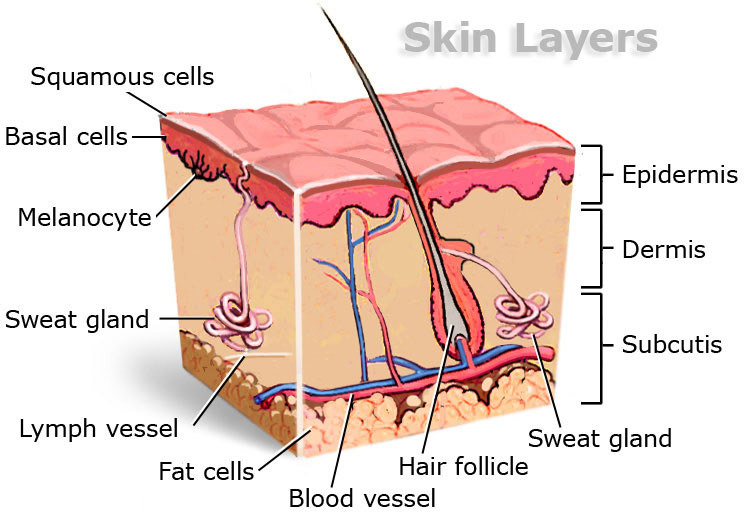 Skin Function: Protection, Regulation, and Sensation. Nails Function: Protects distal phalanx from trauma. The nail also lets you pick up small things. Hair Function: Protection,regulation of body temp., storage of evaporation of perspiration, and also act as a sense organs. 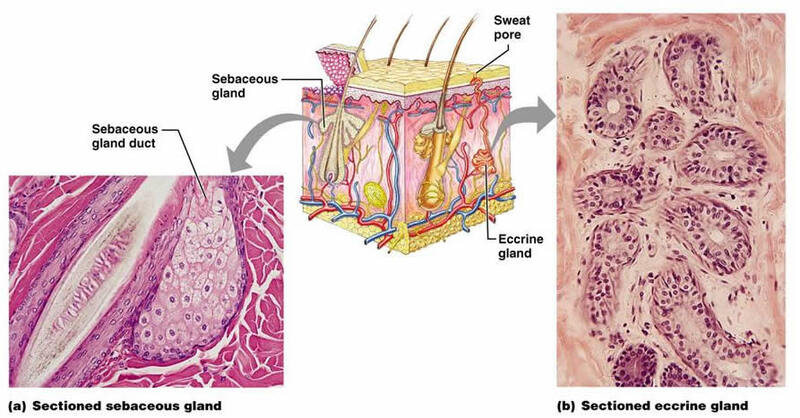 Sweat Gland: Secrete substances known as hormones directly into the bloodstream rather than through ducts.